The poems of Exile In Paradise are derived from a lifelong appreciation of classical Chinese poetry. 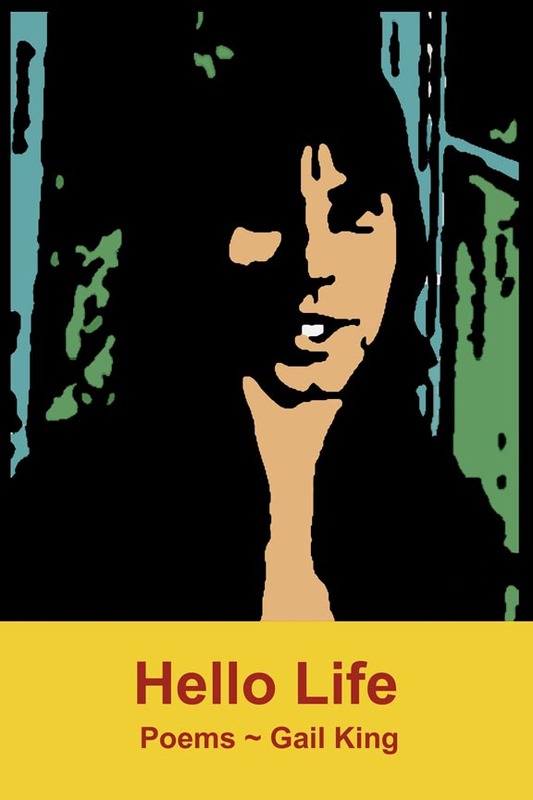 This selection by Pat Nolan marks an almost fifty year creative engagement with Asian literature in translation. Chinese poetry is image rich and largely dependent for its overall effect on the juxtaposition of these images in a discontinuous thread that is not unlike the successive frames of a film. 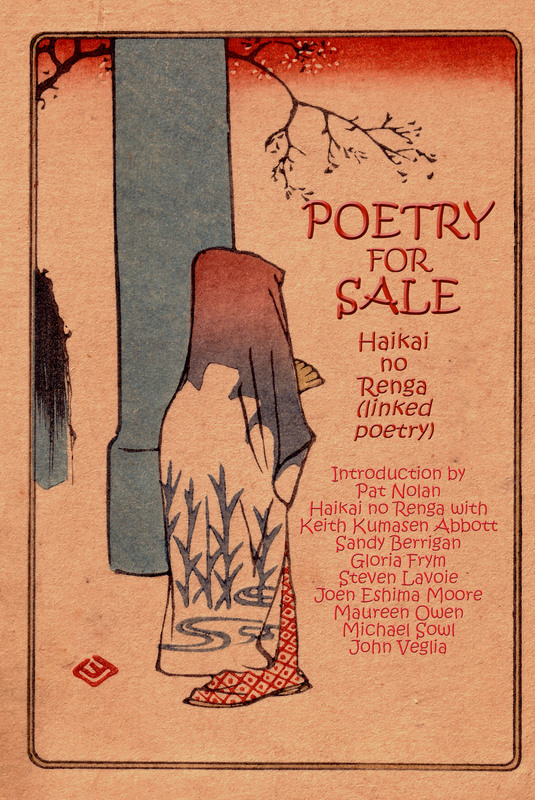 Each of the poems finds its origin in a line translated from an ancient Chinese poet. Although removed by degrees of separation from the originals in time and language, their impulse remains the same: to call up the perceptual as a song of celebration in sacred engagement with the world. Pat Nolan has lived in silent cunning exile along the Russian River in Northern California for over forty years. 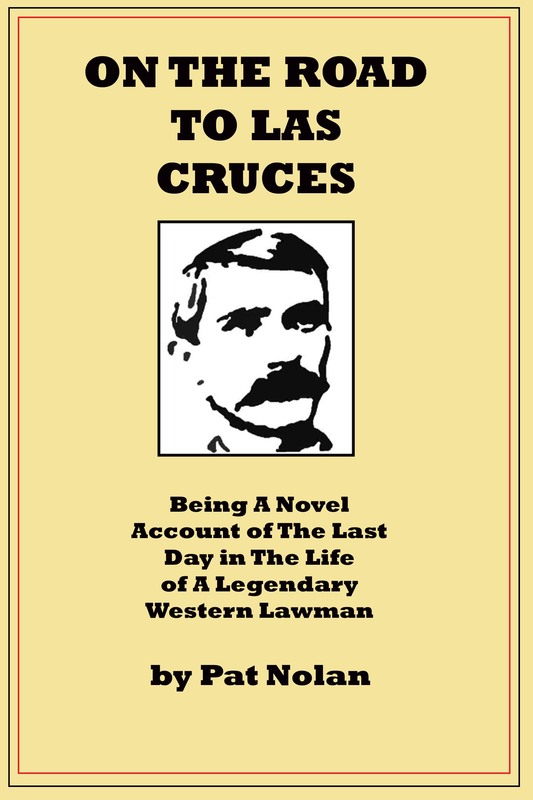 His poetry, prose and translations have appeared in numerous literary magazines and anthologies in North America, Europe and Asia. He has worked as a bartender, rock band manager, trail crew grunt, radio DJ, janitor, preschool teacher, and emergency dispatcher. 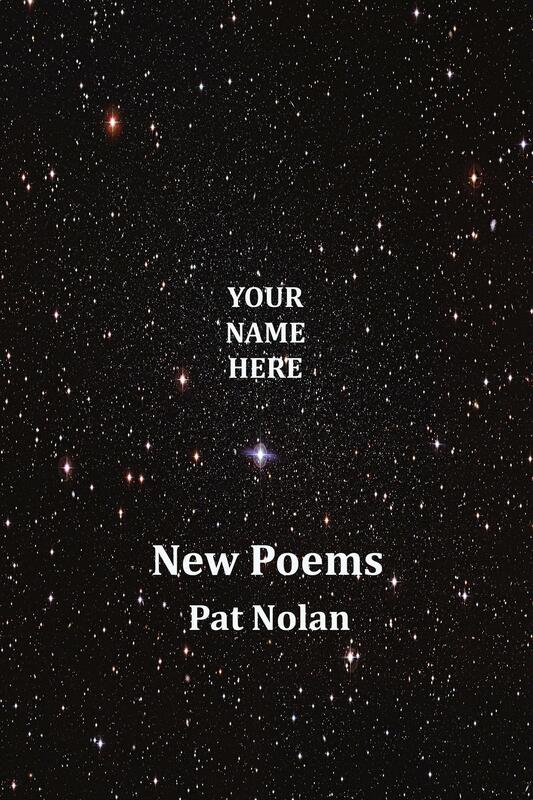 The author of three novels and over a dozen poetry books, he is also publisher of Nualláin House, Publishers and maintains the literary blog for The New Black Bart Poetry Society. Pat Nolan has lived in silent cunning exile along the Russian River in Northern California for over forty years. 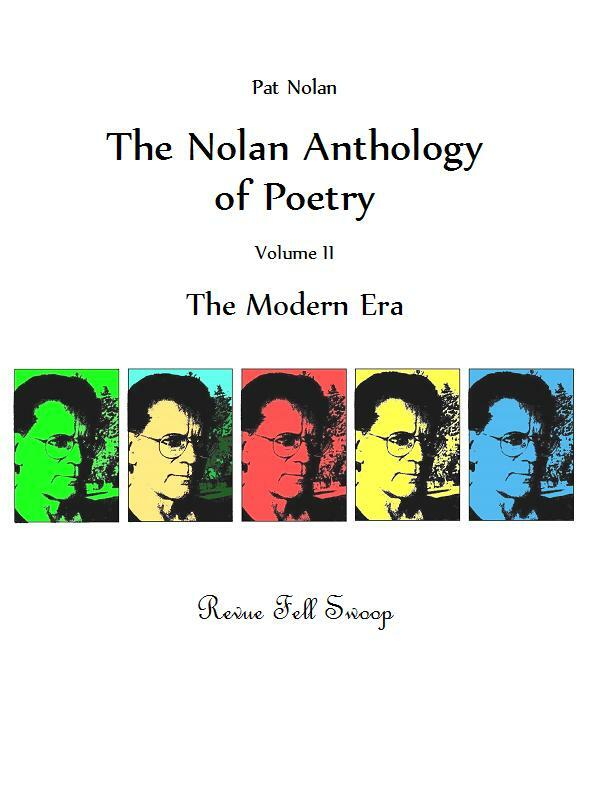 His poetry, prose and translations have appeared in numerous literary magazines and anthologies in North America, Europe and Asia. He has worked as a bartender, rock band manager, trail crew grunt, radio DJ, janitor, preschool teacher, and emergency dispatcher. 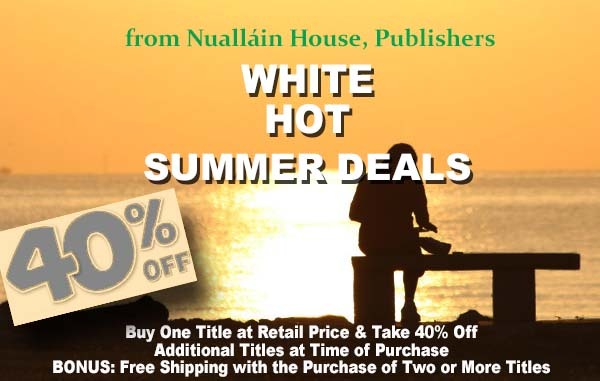 The author of three novels and over a dozen poetry books, he is also publisher of Nualláin House, Publishers and maintains this literary blog. 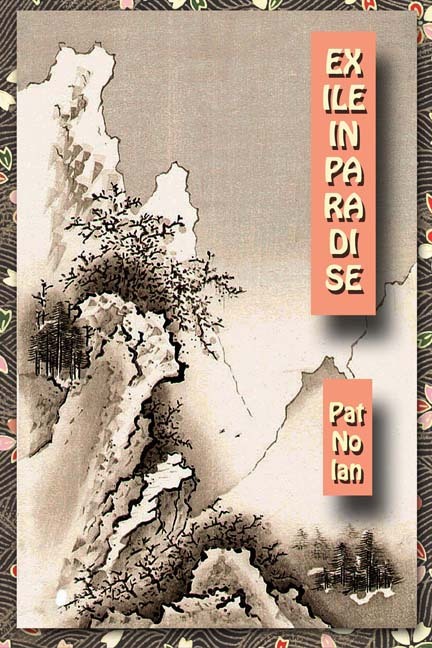 The selection of poems in Exile In Paradise are derived from a lifelong appreciation of Chinese poetry. 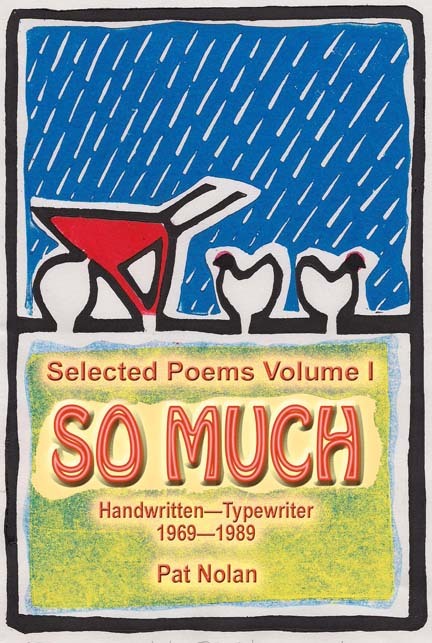 Each of the poems finds its origin in a line from an ancient Chinese poet. The body of the poem consists of an improvisation from that line with the aim of using elements of Chinese prosody such as parataxis and parallelism while being cognizant that Chinese nouns have no number, verbs have no tense, few if any conjunctions or prepositional indicators, and that each line contains its own integrity, apart from any overarching discursive intent. Chinese poetry is image rich and largely dependent for its overall effect on the juxtaposition of these images in a discontinuous thread that is not unlike the successive frames of film. 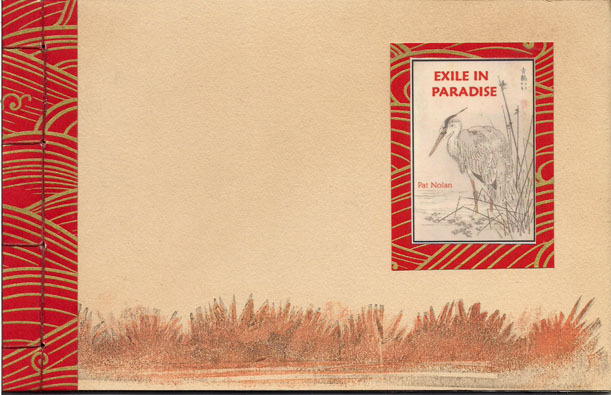 The poems in Exile In Paradise makes use of this ancient prosody to achieve a synthesis between an historically distant culture and the contemporaneous radically different literature of today. 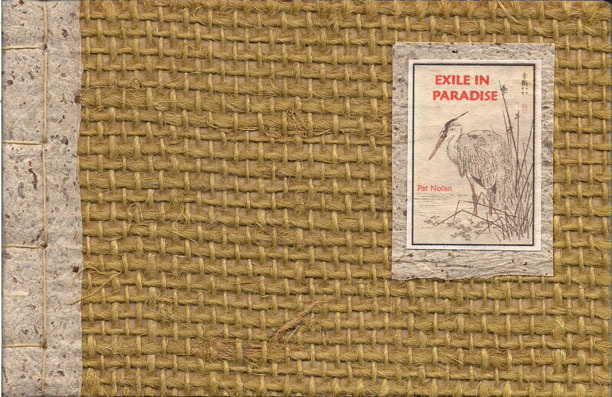 Exile In Paradise was published by Bamboo Leaf Studio in 2009 in a limited edition signed by the author with his seal. Most of the covers are made from repurposed ‘stick & strings’ wallpaper samples and vary with each copy. 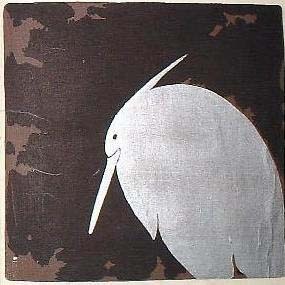 A few of the covers were printed on a distressed heavy weight print paper using a stencil design. The endpapers are Japanese silkscreened patterns imported from Kyoto, as are the binding strips. The illustrations accompanying the poems are reproductions from a nineteenth century block printed Japanese compendium of seals and calligraphic signatures of ancient Chinese painters in the possession of the author. 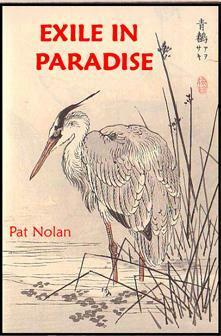 Exile In Paradise measures 5.5×8.5 inches (14×21.5 cm) and is bound with a traditional four hole Japanese style binding. The poems were printed on a limited supply of discontinued Gainsboro text stock. 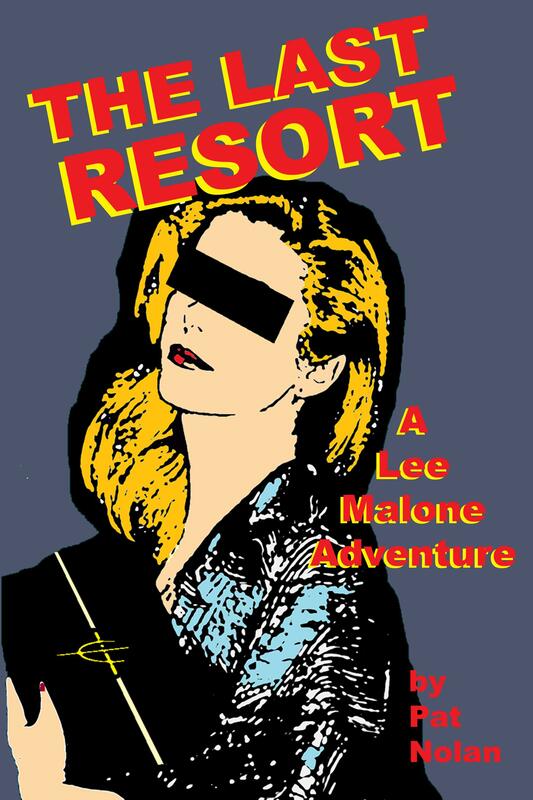 Exile in Paradise is out of print in this edition.